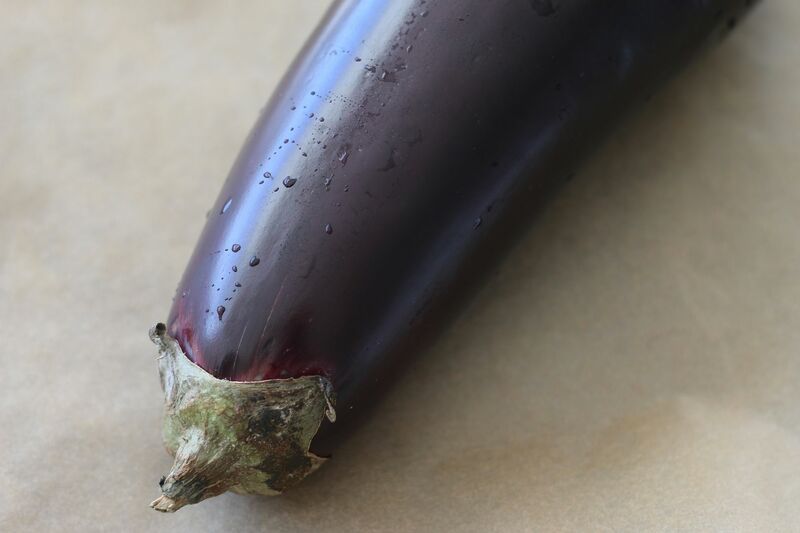 Did you know that an entire eggplant has only 16 grams of carboydrate and 130 calories?! I had no idea until I googled it last week. Sometimes I google random stuff like that. Turns out eggplant can also help with digestion, skin tone (LOVE this one), weight loss (it makes you feel full and satisfied), mental health and it's a heart protector. 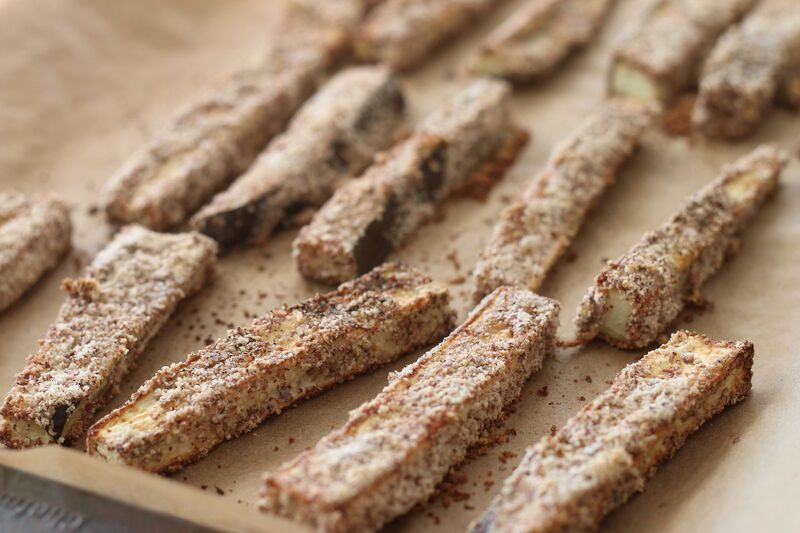 So basically you can eat an entire batch of eggplant fries and you are not even making a dent in the carbohydrate or calorie department and you are getting in some great health benefits. 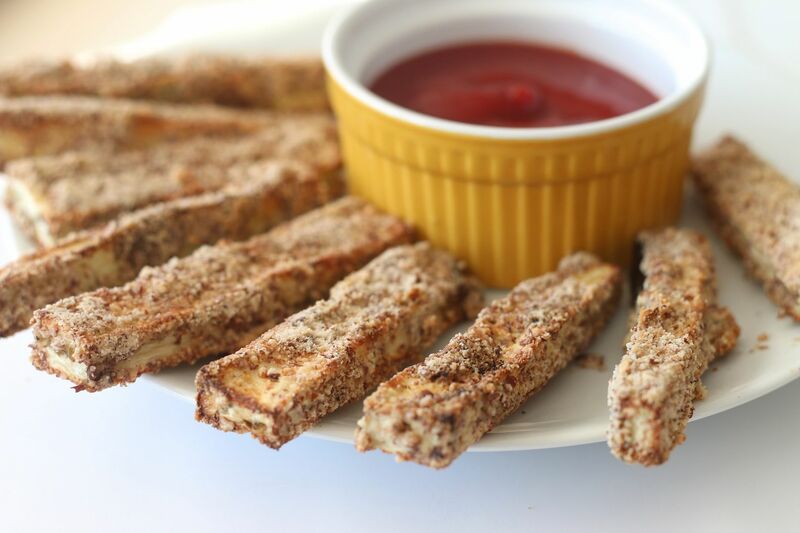 I made these eggplant fries over the weekend and they were so so yummy! They are beyond addicting but basically guilt free, which are the best kind of fries in my opinion. Wash your eggplant and cut off each end. 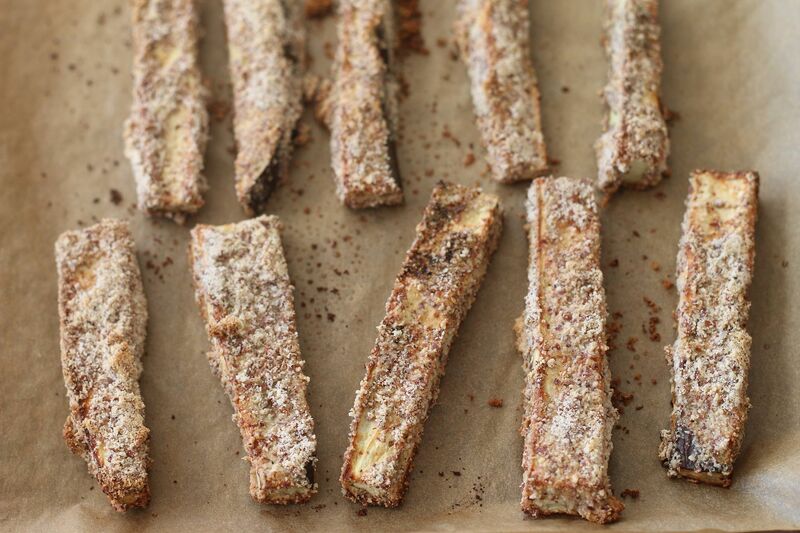 Cut your eggplant into length size slices and then cut each slice into fry size strips. 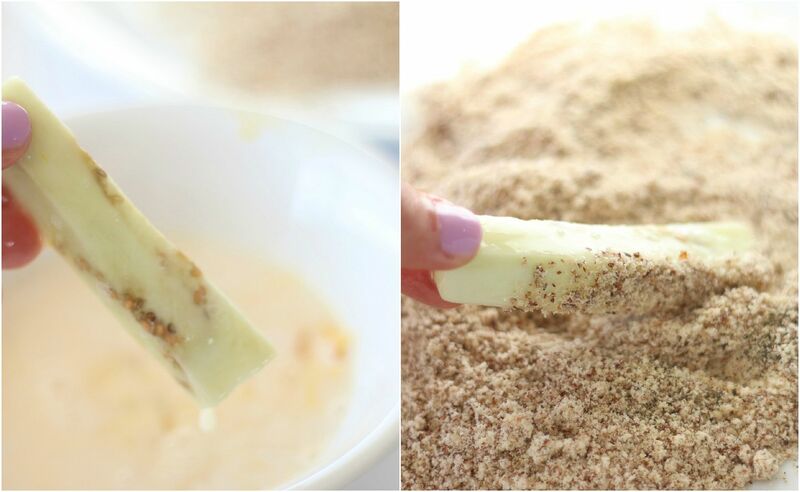 Mix the eggs and almond milk together in a small bowl and set aside. Mix the almond meal, pepper and garlic salt together on a large plate. Dip each eggplant fry first into the egg mixture and then roll it around in the almond meal mixture making sure to coat it completely. Place all of your fries onto a parchment lined baking sheet and spray them with olive or coconut oil spray. Bake for 30 minutes or until they are nice and crispy. You must try these! I will be making a double batch again this weekend for Super Bowl! Mmm, these look yummy! 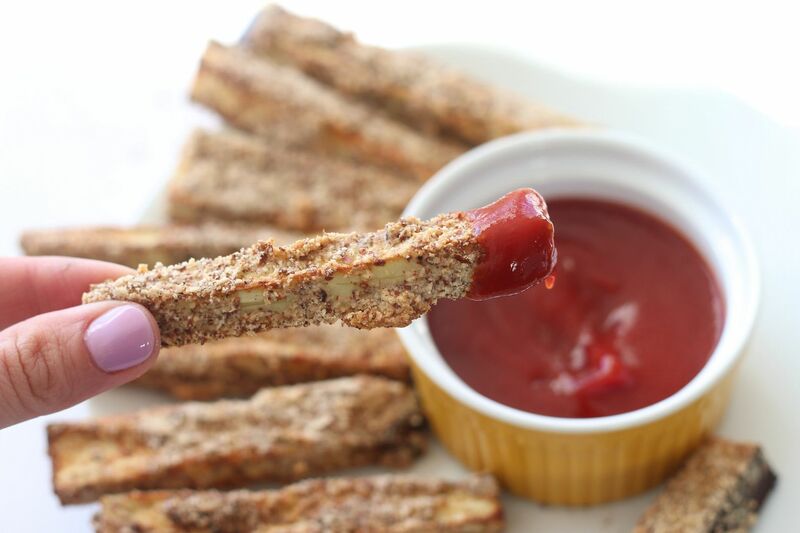 Do you have any recipes for paleo ketchup? Silly question - Do you peel the skin off first? Anonymous- you do not need to peel the eggplant first. You just made me the happiest girl..eggplant is my absolute fav! Thanks! Making them now, using silpats and since I didn't have "oil spray" just drizzled olive oil over each piece. Wish my husband would try them! :-P Little by little, I'll get him to eat eggplant one day! The eggplant doesn't make these soggy!? Thats always my fear with eggplant..mush! Great for baba ganoosh, bad for other things! Yum! I love eggplant, can't wait to try these out. We are allergic to nuts, is there a substitute for the almond ingredients? I've never had eggplant, but these look yummy. Might have to give them a try. Thank you! Made these last night and they lasted 10 minutes! They were great! Thank you for sharing such easy recipes like this! I made these last week and they were sooo good!!! Thank you!!!! I'm actually planning to make them again tonight for myself and then on Thursday for my boyfriend. He loved them too. Oh and I made your flour less chocolate cake for valentines day. I have to tell you I thought "there is no way this is going to come together." Oh my, was I ever wrong!! It was so delicious. We ate way too much and had to give the remainder away just to get it out of the house. Your blog is great!!! Thank you!!! I made these and my kids loved them and so did I. Awesome! I just made these and they are FANTASTIC! Thank you for the recipe! I am in love with your blog! It's full of lots of super healthy recipes. It's very hard to find. I have some health problem. This is a place I will visit often in the future. Thank you so much for sharing!